The NHL draft’s first round was held on Friday night in Chicago. Once again it was a gaudy celebration of middle-aged white men parading across the stage and shaking hands with Gary Bettman, the NHL’s commish, on the way. The star of Sportsnet’s first-round coverage had to be Sam Cosentino. He isn’t on Twitter, but that doesn’t stop him from knowing his stuff when it comes to draft-eligible hockey players. The goofiest thing of draft week may have occurred early on when Colin Campbell, the NHL’s executive vice-president and director of hockey operations, told reporters the league had taken an in-depth look at four playoff games and discovered 60 to 110 uncalled slashes per game. . . . You were watching the playoffs and you saw that; I was watching the playoffs and I saw that. So why did the NHL have to study video to see it? The NHL has a rulebook in which slashing is declared illegal. So how could that many go uncalled in one game? Hey, that’s a lot of uncalled hacking and whacking. . . . It was TSN’s Gord Miller who tweeted: “Take out the rulebook and call it.” … Gee, what a crazy idea. The Portland Winterhawks had four players selected off their roster during the draft. Two went in the first round, with F Cody Glass going to the Vegas Golden Knights sixth overall and D Henri Jokiharju to the Chicago Blackhawks with the 29th pick. As well, D Brendan De Jong was taken by the Caroling Hurricanes in the sixth round (166th) and F Skyler McKenzie went to the Winnipeg Jets in the seventh round (198th). . . . 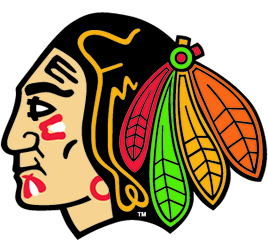 Meanwhile, four players whose WHL rights belong to the Winterhawks also were drafted. . . . F Ryan Poehling of Lakeville, Minn., was selected by the Montreal Canadiens in the first round, 25th overall. Poehling, 18, was a freshman at St. Cloud State last season, putting up seven goals and six assists in 35 games. He is a Portland list player. . . . With the very next pick, the Dallas Stars took G Jake Oettinger, a good friend of Poehling’s who also is from Lakeville. Oettinger, who is to turn 19 on Dec. 18, has completed his freshman season at Boston U. The Winterhawks selected him in the ninth round of the WHL’s 2013 bantam draft. . . . F Scott Reedy of Prior Lake, Minn., was picked by the San Jose Sharks in the fourth round, 102nd overall. Reedy, 18, played last season with the U.S. National U-18 team and is committed to the U of Minnesota for 2017-18. Portland picked him in the fourth round of the 2014 bantam draft. . . . F Cole Guttman of Northridge, Calif., was taken in the sixth round, 180th overall, by the Tampa Bay Lightning. Guttman, 18, played last season with the USHL’s Dubuque Fighting Saints and will be the team captain in 2017-18. He has committed to St. Cloud State for 2018-19. The Winterhawks selected him in the eighth round of the 2014 bantam draft. . . . All of this is worth mentioning because F Kieffer Bellows, 19, has decided to leave Boston U after one season and join the Winterhawks, who selected him in the seventh round of the 2013 bantam draft. The New York Islanders took Bellows in the first round, 19th overall, of the NHL’s 2016 draft. One of the draft’s more intriguing selections came in the sixth round when the San Jose Sharks took F Jake McGrew of the Spokane Chiefs with the 159th pick. McGrew, an 18-year-old from Orange, Calif., didn’t play at all last season after suffering a knee injury. An eighth-round pick by the Chiefs in the 2014 WHL bantam draft, McGrew had a goal and two assists in six exhibition games when he was hurt in practice. . . . In 2015-16, he put up 29 goals and 18 assists in 32 games with the U-16 Los Angeles Jr. Kings. Kamloops Blazers with the 194th overall pick. Ferguson, from Lantzville, B.C., spent the past two seasons backing up Connor Ingram with the Blazers. The 6-foot-2, 185-pound Ferguson got into only 16 games in 2015-16, going 4-10-0, 4.13, .875. Last season, he played in 31 games and was 16-10-2, 2.74, .922. . . . Ferguson played most of those 2016-17 games in December and early January, while Ingram was with Canada’s national junior team. Ferguson lit it up, too — he was 9-4-1 while Ingram was away — resulting in a lot of scouts showing up in Kamloops after Christmas when they knew he would be starting. . . . With Ingram, 20, expected to play in the Tampa Bay Lightning’s organization in 2017-18, Ferguson, who turns 19 on Sept. 20, should be the Blazers’ starter. . . . Don’t forget, too, that Tom Gaglardi, the Stars’ owner, also is the majority owner of the Blazers. his third season in Seattle in 2017-18. . . . Meanwhile, veteran F Keegan Kolesar was acquired by the Vegas Golden Knights on Saturday. They gave the Columbus Blue Jackets a second-round selection, No. 45, in return. Originally, that pick had belonged to the Tampa Bay Lightning. The Golden Knights got it from Tampa Bay for agreeing to take D Jason Garrison off the Lightning’s roster in the expansion drafat. . . . Columbus promptly took French F Alexandre Texier. . . . The Blue Jackets had taken Kolesar in the third round of the 2015 NHL draft. . . . The 6-foot-2, 225-pound Kolesar, now 20, is from Brandon. He had 26 goals and 34 assists in 54 games last season, then was the leading scorer in the WHL playoffs with 31 points, including 12 goals, in 19 games. . . . Kolesar signed with the Blue Jackets on Dec. 20, 2015. He is expected to begin the season with the Knights’ AHL affiliate, the Chicago Wolves. "I left Winnipeg for Columbus at 7 (a.m.) because we have development camp this weekend," Kolesar told Mike Sawatzky of the Winnipeg Free Press on Saturday afternoon. "I land in Chicago and they call me and tell me I just got traded to Vegas. I'm in Columbus in a hotel room right now and I've gotta leave tomorrow or the next day for camp in Vegas. So, it's been a whirlwind, not even 24 hours for me.” . . . That story is right here. The NHL’s 31 teams combined to select 89 players off the rosters of the 60 CHL teams — 42 from the OHL, 33 from the WHL and 14 from the QMJHL. . . . The number of players selected from WHL teams, starting in 2017 and going back to 2007: 33, 34, 35, 37, 33, 32, 33, 43, 31, 37, 37. . . .
All told, 17 of the WHL’s 22 teams had at least one player selected. . . . 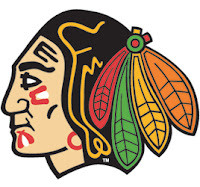 The Portland Winterhawks and Tri-City Americans each had four players go, while the Brandon Wheat Kings, Medicine Hat Tigers and Spokane Chiefs were at three. . . . The Swift Current Broncos, Regina Pats, Kootenay Ice and Kelowna Rockets each had two players taken, with one player being drafted from each of the Moose Jaw Warriors, Lethbridge Hurricanes, Red Deer Rebels, Prince Albert Raiders, Victoria Royals, Prince George Cougars, Seattle Thunderbirds and Kamloops Blazers. . . . Shut out of this draft were the Calgary Hitmen, Edmonton Oil Kings, Everett Silvertips, Saskatoon Blades and Vancouver Giants. And, finally, condolences to Nolan Patrick and his family on the death of their grandmother and mother, June. Nolan, a forward with the Brandon Wheat Kings, was the second overall pick in the draft, taken by the Philadelphia Flyers on Friday. He had a big week, too, including throwing out the ceremonial pitch prior to a Wednesday game at Wrigley Field. You can bet that he did it all with a heavy heart, his grandmother having died on June 16 in Winnipeg. She was the mother of Nolan's father, Steven, and uncle, James, who is the Kootenay Ice's head coach. . . . A complete obituary is right here. F Dustin Sylvester (Kootenay, 2004-10) has signed a one-year extension with Dornbirn (Austria, Erste Bank Liga). Last season, he had 14 goals and 22 assists in 46 games. . . .
F Tomáš Netík (Medicine Hat, 2000-01) has signed a one-year contract with Medveščak Zagreb (Croatia, Erste Bank Liga). Last season, with Sparta Prague (Czech Republic, Extraliga), he had three goals and four assists in 20 games, and two goals in nine games with Třinec (Czech Republic, Extraliga). . . .
F John Dahlström (Medicine Hat, 2016-17) has signed a two-year contract with Almtuna Uppsala (Sweden, Allsvenskan). Last season, with the Medicine Hat Tigers (WHL), he had 30 goals and 29 assists in 63 games. Next up: The CHL import draft is scheduled for Wednesday, starting at 8 a.m. PT. It is held via telephone. . . . The Kootenay Ice is scheduled to be the first WHL team to make a selection. That will be the third-overall pick, behind the OHL’s Barrie Colts and the QMJHL’s Moncton Screaming Eagles. . . . The order of selection is right here. The Red Deer Rebels have signed F Jace Isley, who was a fifth-round selection in the WHL’s 2017 bantam draft. Isley, who won’t turn 15 until July 14, is from Grande Prairie, Alta. Last season, he had a goal and 14 assists in 23 games with a bantam prep team at OHA Edmonton. F Harrison Blaisdell, 16, has committed to play for the BCHL’s Chilliwack Chiefs in 2017-18. Two seasons ago, he had 20 goals and 34 assists in 25 games with a bantam prep team at the Yale academy in Abbotsford, B.C. 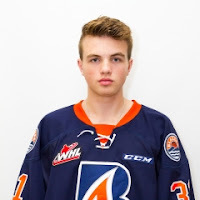 Last season, with the midget AAA Regina Pat Canadians, he put up 20 goals and 21 assists in 40 regular-season games. . . . Blaisdell, who already has committed to attend North Dakota for 2020-21, is the son of former Regina Pats F Mike Blaisdell, who was a 71-goal man in his only full WHL season. He played one season (1978-79) at the U of Wisconsin, then joined the Pats early in 1979-80. . . . Harrison was selected by the Vancouver Giants in the second round of the WHL’s 2016 bantam draft. The BCHL’s Alberni Valley Bulldogs have acquired F Luke Gingras, 19, and futures from the Vernon Vipers for F Jordan Sandhu, 18. . . . Sandhu, from Richmond, B.C., was a fourth-round pick by the Kelowna Rockets in the WHL’s 2014 bantam draft. Sandhu has played two seasons with the Bulldogs. He has committed to Arizona State for 2018-19. . . . Gingras, 19, played 114 games with the Saskatoon Blades over the past three seasons, scoring six goals and adding seven assists. The Blades dropped him from their protected list during the 2017 bantam draft. . . . 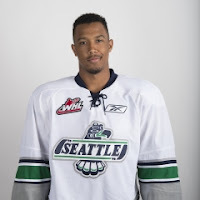 He was a fourth-round pick by the Blades in the WHL’s 2013 bantam draft. . . . Gingras started last season with the Blades and finished up with the Vipers. The BCHL’s Prince George Spruce Kings have acquired F Shawn Kennedy, 18, from the CCHL’s Carleton Place Canadians for G Tavin Grant, 19, and futures. . . . Grant played 18 games with the WHL’s Prince George Cougars in 2014-15 and got into one game with them last season. . . . Interestingly, when G Nick McBride, 20, revealed in May that he was leaving the Cougars in order to go to school and with G Ty Edmonds, 20, moving on to the U of Lethbridge, general manager Todd Harkins said told the Prince George Citizen: “I’m not too worried about it because we’ve got young goalies and we have Tavin Grant.” . . . Also on the Cougars’ depth chart is Taylor Gauthier of Calgary, who was the ninth overall pick in the WHL’s 2016 bantam draft. Bob Woods is back with Bruce Boudreau. The Minnesota Wild announced Saturday that Woods, who has a long history with Boudreau, its head coach, has signed on as an assistant coach. Woods, 49, was an assistant coach with Buffalo last season, but lost his job as the Sabres went through another regime change. . . . Woods spent two seasons (2014-16) as the GM/head coach of the WHL’s Saskatoon Blades. . . . This will be the fourth time Woods will have worked as an assistant coach alongside Boudreau. They were together with the Anaheim Ducks (2012-14), Washington Capitals (2000-12) and the AHL’s Hershey Bears (2005-07). . . . Woods also played in the WHL with the Brandon Wheat Kings (1987-89). The KHL season has yet to start, but that didn’t keep Dynamo Minsk from relieving head coach Craig Woodcroft of his duties. According to a release from the team, Woodcroft’s contract “was terminated by agreement of the parties.” . . . Dynamo CEO Anatoly Kurilets said the team was willing to move forward with Woodcroft as head coach, but that Woodcroft “wished for the termination of the contract, (so) we agreed . . . without paying severance pay.” . . . Woodcroft, 47, had signed a three-year contract in April 2016. . . . Assistant coaches Rob Davison and Ron Pascoe and trainer Christian Scarfagen also left Dynamo Minsk. Their departures were revealed three days before Woodcroft’s termination was announced.